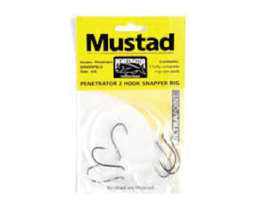 Where and whenever you go fishing there’s a good chance that the fish hooks you are using are made by Mustad. For more than 125 years, Mustad has been known as the world’s largest manufacturer of fish hooks. It all began more than 175 years ago in a small town in Norway, 140 km north of Oslo, called Gjøvik. The farmer Hans Skikkelstad established “Brusveen Spiger og Ståltrådfabrikk” in 1832, producing nails, horseshoe nails and other metal products. Since then the company has changed greatly in terms of product range and the size of the concern. Substantial and diversified business ventures owned by various branches of the Mustad family in Norway and worldwide have sprung from this modest beginning. 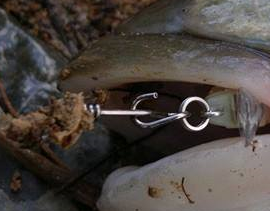 The fish hook activities now have thousands of fishhook patterns in their sales program. 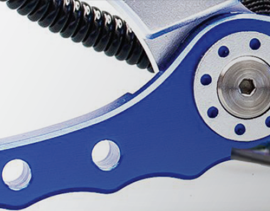 Mustad also produces fully automatic systems for commercial long-lining – the Mustad Autoline and Miniline Systems. 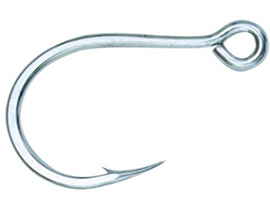 Today many Mustad fish hooks and Mustad Autoline are world market leaders. Back in 1877, at the time Hans Skikkelstad’s son-in-law, the local county police sergeant, Ole Mustad, was running the company, he started the company O. Mustad & Son A.S. together with his son, Hans Mustad, a man of vision. Having perceived the possibilities of the production of fish hooks, Hans soon became an expert hook maker, unmatched by his contemporaries. Well ahead of his time, especially in terms of sales and marketing, he sent his staff out into the world to visit other manufacturers, dealers and local fishermen, and from their feedback, he charted the markets long before his competitors. The further development of the company, however, would not have been possible without the young inventor Mathias Topp. Until he started looking into the problem, fishhooks had been manufactured by hand, one by one. Shortly after joining Mustad Mathias Topp invented the first automatic fishhook machine. Steel wire was fed in at one end and hooks came out at the other. The invention was truly a sensation. Today, many of the machines still running are very similar in concept to the original ones. One might say that they have passed the test of time and endurance. Despite Topp’s technical wizardry, when it became clear that local expertise was not enough, Hans Mustad promptly imported the necessary know-how. Henry Haynes was the first of many English craftsmen coming over to work for Mustad, and from the English the company acquired skills in fly-tying, metal tempering, grinding and polishing. Hans Mustad’s philosophy was that the company should be self-sufficient as far as possible. 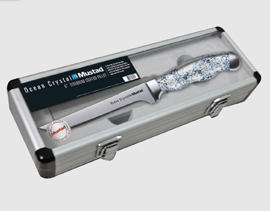 As a result, Mustad trained its own workers and developed its own marketing methods – something unheard of in Norway at the time. The philosophy has been maintained and expanded throughout the years. 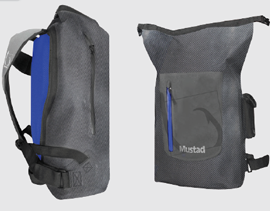 Today, many families can trace their employment with Mustad back over several generations. It all startedwith a handful of men in a modest log cabin, with water-powered machinery. 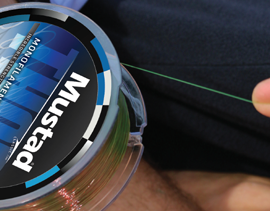 A combination of inspired leadership, loyal and highly skilled workers and a sale force that loved to travel, has enhanced Mustad’s world wide leadership position in 144 competitive national export markets. From a modest little start it has grown into a large, solid and ever expanding industrial complex. During the more than 175 years that Mustad has been in business, marketing has been a key concept and the company has always had a talent for adjusting to change. The need for close and continuous contact with the market forces and superior service capabilities has prompted the company to establish subsidiaries in the primary markets. This policy has definitely played a major part in Mustad’s success, since exports represent more than 90% of total production. The USA is a major market, and Mustad realized at an early stage that if it were to maintain its position in this competitive environment, distribution had to be strengthened. This process began in the 1950s when Mustad bought out a competitor and established a subsidiary in Auburn, New York. 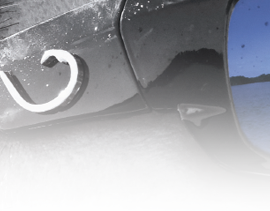 Through this company, Mustad has strengthened its position and gained a larger market share. In the early 1970s Mustad established a regional centre and fish hook factory in Singapore where they produced a range of articles for sport fishing, including fishhooks. The Mustad company in the Philippines had made it possible to expand sales of flies, snelled hooks, jigs, rigs and lures. This has given the company a broader basis and has enhanced the penetration of Mustad fish hooks worldwide. Mustad has also acquired hook-manufacturing plants in Brazil – where it operates out of Porto Alegre – and Portugal. In 2001 Mustad decided to build a large fish hook factory in Wuxi, China. The plant has been expanded twice and the last expansion was completed in 2008-09. The Singapore factory was closed down in 2007 and all fish hook production transferred to China. In 2004 the Mustad company was divided in three separate companies — O. Mustad & Sön (fish hooks world wide), Mustad Longline (Mustad Autoline world wide), Mustad Real Estate, managing and developing all Mustad properties in Gjövik, Norway. In October 2012, NLI Utvikling changes its name to Ard. By doing this the company wishes to focus on its effort to cultivate ownership. Ard aims to be the best owner of their companies. This change is a natural step in a long history, and comes as a result of substantial growth and expansion over the last 15 years. Ard means “plough”, and successful turnarounds are what Ard wants to be associated with.